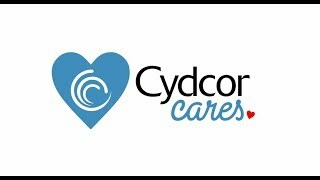 We’re so proud of all of the excellent fundraising work the Cydcor team and its supporters have done, and we’re not the only ones: The mission members from Operation Smile would love to extend a big, heartfelt “THANK YOU” as we pass the $900,000 mark! Check out all of the smiling faces of Operation Smile who’d like to give thanks to Cydcor and its supporters. Lets keep pushing toward that million-dollar mark!